ICS is actually constituted of some of the members of the Interdisciplinary Laboratory and Jcom - Journal of Science Communication's editorial staff. Nico is the codirector of the Master course in Science Communication at Sissa. He is the editor in chief of Jcom - Journal of Science Communication (http://jcom.sissa.it). In 2007 and 2008 Nico has served as Deputy Director of the �Fiera Internazionale dell�Editoria Scientifica - Trieste� (International Science Media Fair) FEST. His research interests cover the following areas: education and training in science communication for science communication professionals and scientists; science and media; roles of non-experts in knowledge production; Nico is also active as science writer. Physicist and science writer, Yurij lives between Italy and Brazil. He is currently a visiting researcher at LabJor (Laboratorio de Estudos Avancados em Jornalismo), University of Campinas, Brazil. 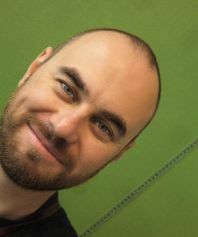 As a freelance science journalist, Yurij works for newspapers and magazines both in Italy and Brazil and produces books and texts for science television programs. As a scholar of science communication, he teaches Science Communication History and Theories and his typical fields of interest are public perception of science, models in Science Communication Theory and Science in the Media. 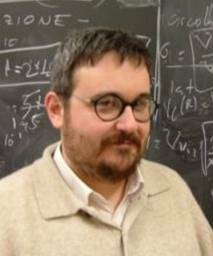 Alessandro is taking a PhD in Science and Society at the University of Milan and at SISSA of Trieste and he has a Master degree in Science Communication. His research interests are focused on communication in the biotechnologies' field, in particular on science images and mediatic� contemporary biotechnologist. Furthermore, he studies the role of ICT and the Internet in this sector. He is an editor of JCOM (Journal of Science Communication), and as a freelance journalist he writes about science and technology on several Italian newspapers. Science writer and freelance journalist, Daniele obtained a PhD in Functional Analysis and Applications in 1996 at SISSA, in Trieste. He writes about mathematics for primary and secondary school. He is editor of the series "L'occhio e la lente" concerning present issues in the relationship between science and society, published by Springer Italia. From 2003, Daniele is editor of JCOM (Journal of Science Communication) and is member of the group ICS for which he coordinates the Observatory on Children, Teens and Science. He is a member of the Scientific Board of the Association "Scienza Under 18" and of the Administrative Board of the "United World College of the Adriatic". Donato has a degree in Biological Sciences with an emphasis in biochemistry. He obtained a Master Degree in Science Communication in 2006 and, at the moment, he collaborates with Innovations in the Communication of Science group in organization of ICS events and activities and in research projects. He also collaborates with Italian magazines as freelance journalist. After a degree in Physics (University of Genoa), Chiara obtained a PhD in Biophysics at SISSA and held a research fellowship in Neuroscience (University College London). She has then started to work in science communication as a Science Programme Officer at the Wellcome Trust (London). She is now a research fellow at the Interdisciplinary Laboratory of SISSA where she works on the communication of technologies and therapies in Neuroscience, with a focus on the social and ethical implications. Giancarlo is project manager of the School in Science Communication at the International School for Advanced Studies (SISSA) of Trieste (Italy) and lecturer in Risk Communication at the University of Trieste. His research centers on public debates about environmental and health risks and on attitudes of the different stakeholders towards science and technology developments. He is also active as a freelance scientific journalist and science writer.